Returning to healthy eating and exercise doesn't have to be a pain. If you've just consumed more hot cross buns, chocolate bunnies and eggs, seafood and booze than you care to remember, welcome. 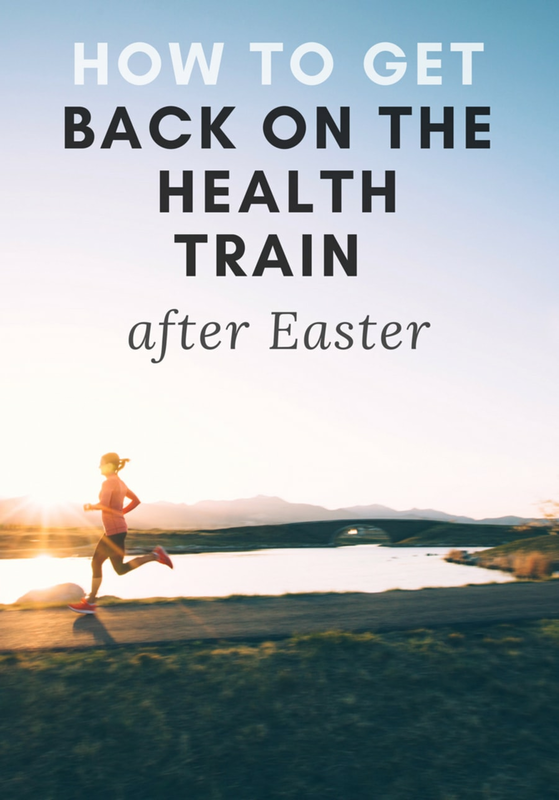 While letting go and enjoying Easter treats is only natural, it can feel overwhelming if you now face getting back on the health train. Let's be real, the idea of going from chocolate for breakfast to kale salads is not fun. But there's good news -- getting back to eating healthily and exercising doesn't have to be punishing. And you don't have to feel guilty for treating yourself. "Remember it is all about moderation and balance. If you do have an Easter blowout, don't beat yourself up. Simply get back on track the next day," nutritionist Fiona Tuck told The Huffington Post Australia. "The odd indulgence will not have a negative effect on your long-term health. It's what you do repetitively every day that has the biggest impact." If you've fallen off the health wagon, follow these six tips. You'll get back into the swing of things before you know it. 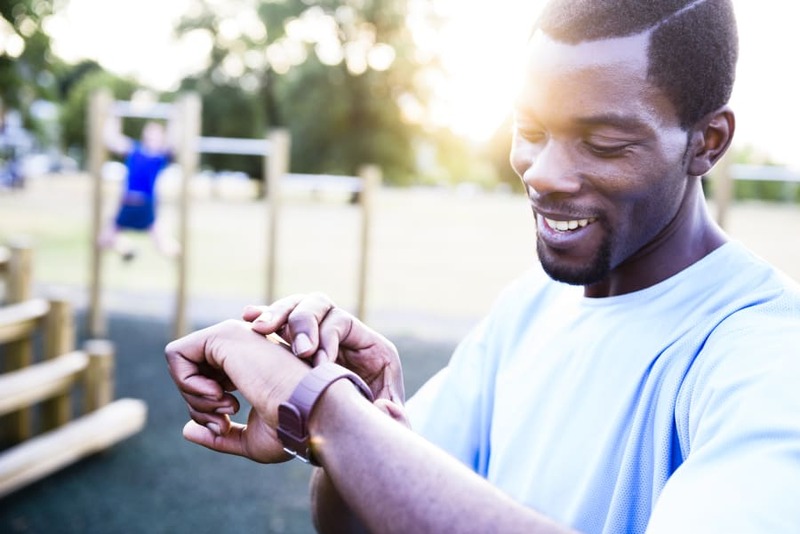 Instead of over-doing it and planning to exercise six days a week following Easter, Pete Gleeson, Goodlife Health Clubs national personal training manager, recommends easing back into it. "Pre-planning your sessions is key. Plan three workouts that you enjoy doing for the first week after returning from the break and spread them out over the week, using a friend or a trainer to hold you accountable to completing them," Gleeson told HuffPost Australia. "By pre-planning, making them fun and having someone other than yourself to motivate you, you can't fail. It only takes one week to get back into a routine and three workouts over seven days is an achievable goal." Push yourself to stick to your regular exercise routine, which in turns keeps you positive and motivated to want to stay fit and healthy. Although it may be tempting to cut calories in order to make up for all the eaten chocolate, restricting can leave you worse off in terms of training endurance and food intake. "All or nothing is the big one -- eating all the Easter chocolate in one go and then drastically limiting calorie intake the next day and exercising excessively," Tuck said. "Extremes are not sustainable and dramatically reducing food intake with extra exercise can lead to blood sugar drops and even more overeating. "Avoid black and white food rules. There is no such thing as 'bad' food if you eat a small amount now and again. The more you beat yourself up about eating too much chocolate, the more likely you are to fall into a downward spiral or eating more." Let's finish our choccy and get on with it. While some people work best when they go cold turkey and ditch all junk food, if you've had a major Easter blow out, or took extra time off to enjoy a food-focused holiday (the best kind), Gleeson suggests slowly cutting out those not-so-healthy foods. "The most common mistake people make when returning to exercise after a break is cutting out all the junk (and therefore heavily cut calories) and ramping up exercise (therefore heavily increasing the calorie expenditure)," Gleeson explained. "While this might seem like a great plan of attack, your body is smarter than that and will shut down your motivation quick-smart. It doesn't like to run on empty. "Cut back some junk and clean up your nutrition over a period of weeks and, slowly but surely (starting with three easy fun workouts per week), you will become more eager to increase your workouts, not drop back." Workout with a friend to hold each other accountable. Setting the same days of the week as 'workout days' can be super helpful in helping to form healthy habits and routines. "It's important to keep to a regular routine and not skip early morning exercise because you have had a late night," Tuck said. "Push yourself to stick to your regular exercise routine, which in turns keeps you positive and motivated to want to stay fit and healthy." Once you feel like you've got a (slight) handle on reducing junk food, increase your intake of fibre-rich whole foods like fruit and veggies, which will help keep you full for longer -- and less likely to reach for treats. "Include plenty of fresh green vegetables and fibre-rich foods such as fruits, veggies and whole grains, and avoid heavy rich foods for a few days, such as cream, butter, fatty red meat and alcohol," Tuck said. "Make the majority of your main meal salad or vegetables, but have a little bit of everything. "And try to allow 12 hours between eating dinner and eating breakfast. This gives the digestive system a rest and helps the body recover easier after a period of over-indulgence." Spice up veggies using homemade dressing, sauces and spice mixes. If you need more motivation, remind yourself of your big goal and set a date in the near future for a mini goal. "That goal should be based around something 100 percent achievable. For example, 'Train twelve times in the next four weeks'," Gleeson said. "This is much better than a mini goal of 'Lose six kilograms in the next six weeks'. Focus your mini goals around process, not outcome. Train regularly and cut back on junk food." "Avoid extreme dieting and exercise as this is hard to sustain long term and you are more likely to feel bad if you don't stick to the regimental routine. It's all about moderation," Tuck added. Focus your health goals around process, not outcome. As for the next Easter long weekend, holiday or break, consider the following tips. "Don't deprive yourself. Moderation is key. If you really want that piece of chocolate or hot cross bun, have it and enjoy it," Tuck told HuffPost Australia. "If you deprive yourself you will end up caving after a couple of glasses of wine and devouring the whole Easter egg and leftovers from Easter lunch. "Stick to a routine, keep up with the exercise and maintain healthy meals. Look at Easter as a time for a few extra Easter treats -- not as a long weekend of avoiding exercise and eating anything and everything."